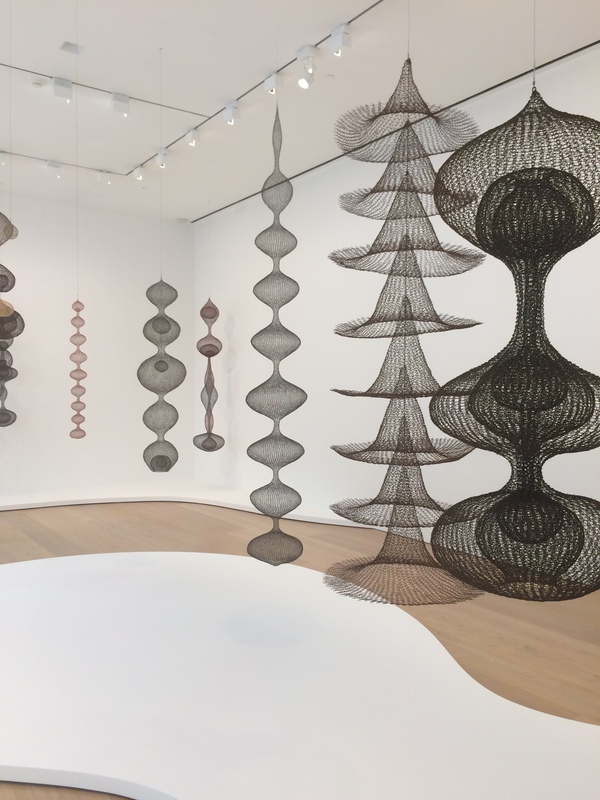 Ruth Asawa studied at the Mountain College, and in the late 1940’s began making crocheted wire sculptures. This solo exhibition at at David Zwirner features a large collection of these hanging forms. Almost all of the structures feature a vertical line of symmetry. No matter your vantage point in the gallery the reflective symmetry is visible. 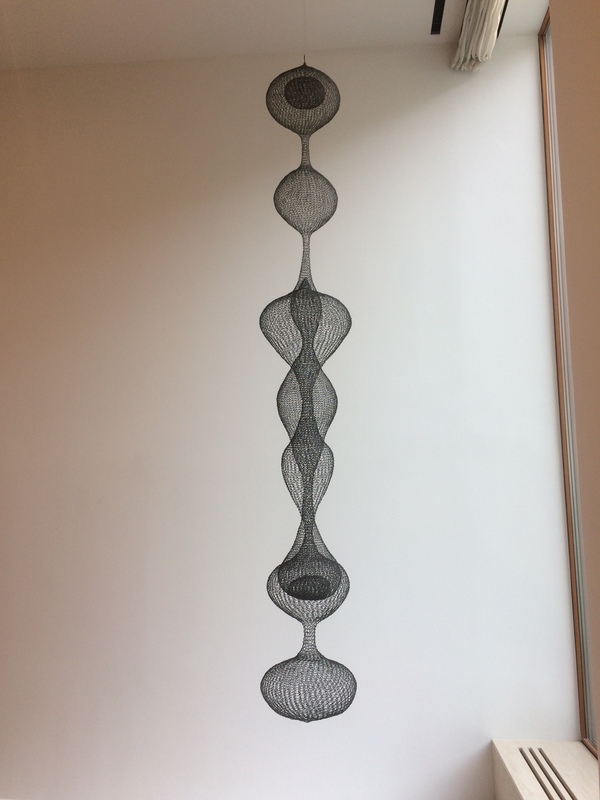 This sculpture is referred to in the catalog as “Untitled, 1954, Hanging, Seven-lobed Continuous, Interwoven Form, with Spheres with in Two Lobes”. It shows another element of Asawa’s work: the interior and exterior forms change positions. 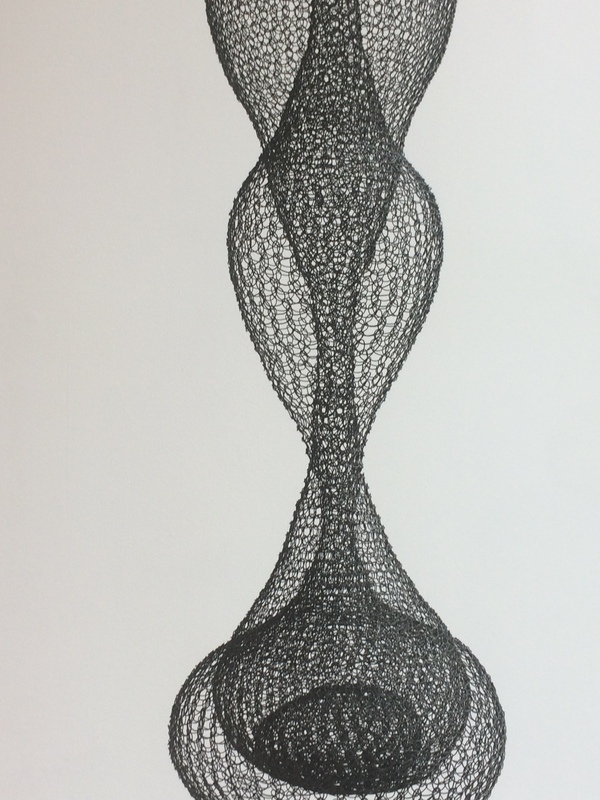 They seem to flow through each other. This phenomenon questions our preconceived ideas about the rules for inside and outside in a 3-D geometric shape.